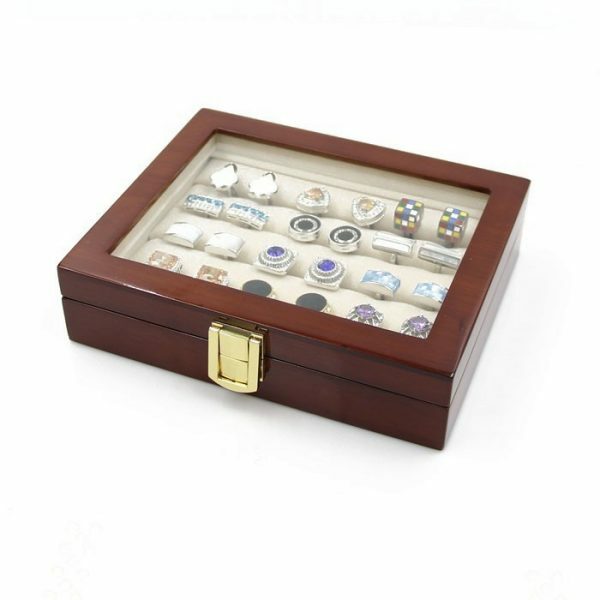 This beautifully made cufflink storage box is the perfect way to store and display all your cufflinks and tie bars. 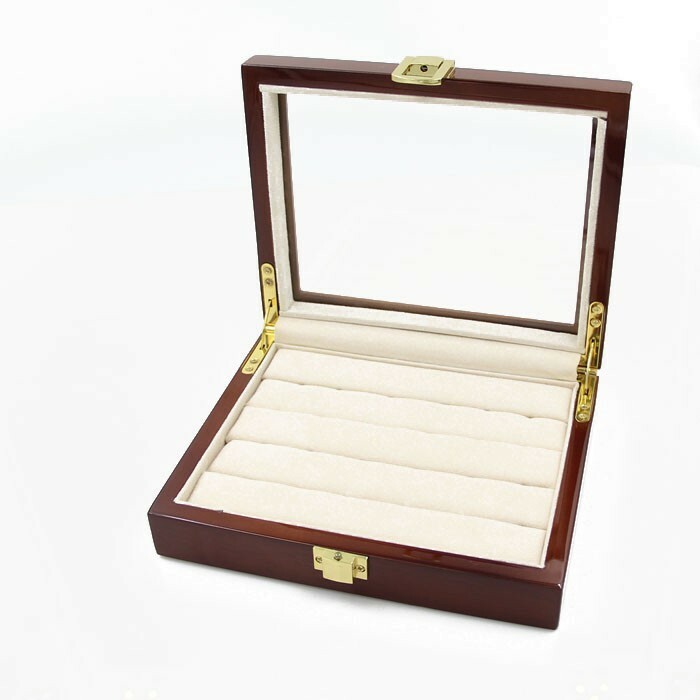 Don’t risk scratching or losing your hard earned accessories by just tossing them in a drawer or on top of your dresser. Use this finely crafted wooden cufflink storage box to hold all your gentlemanly jewelry. 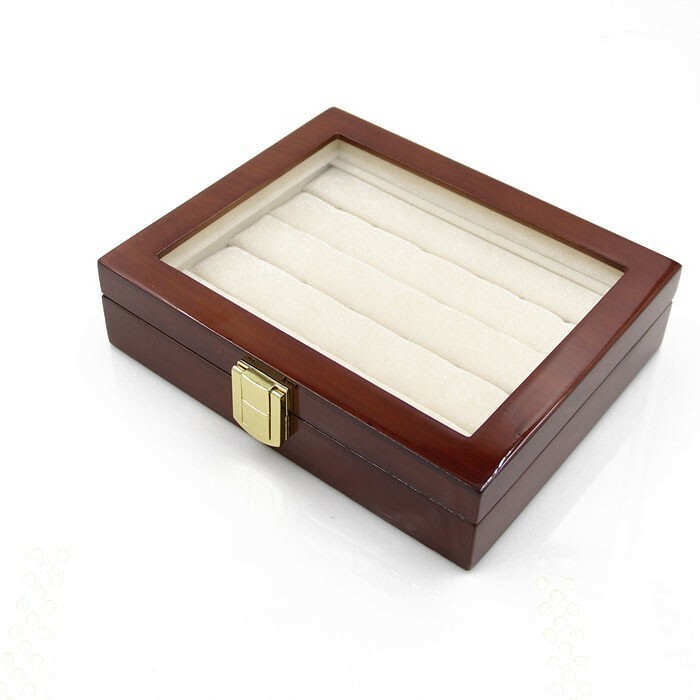 Each cufflink storage box is made from real wood and glass with a highly polished deep brown finish. 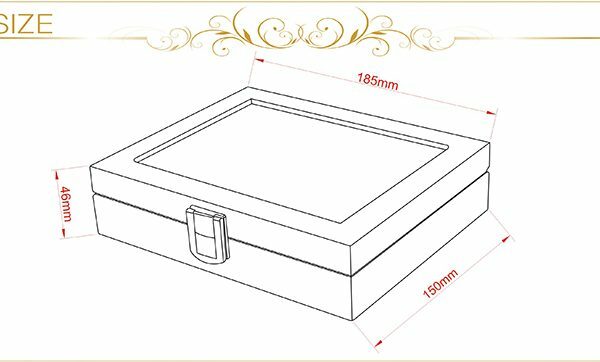 This box measures 7.28″ long by 5.90″ wide and has a height of 1.81″ as well as a high-quality flannelette interior. 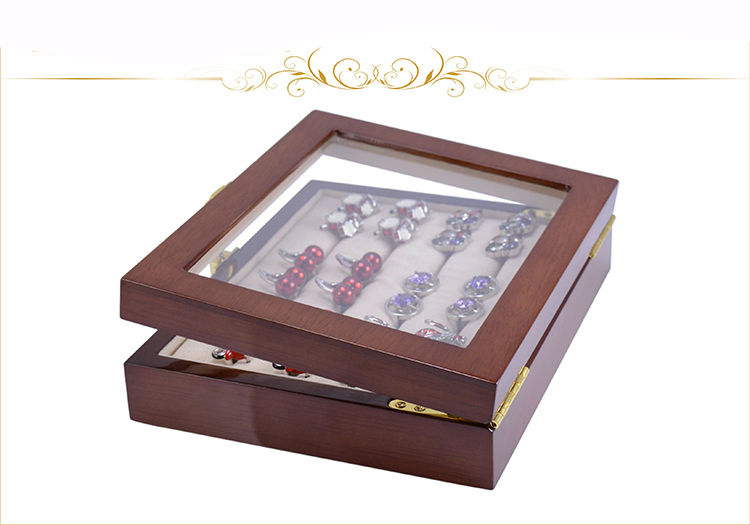 In addition, this box is equipped with top quality solid metal hinges and a front closing clasp. 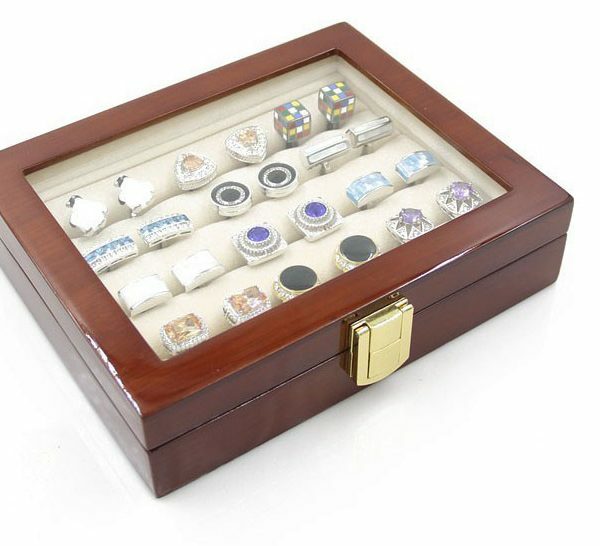 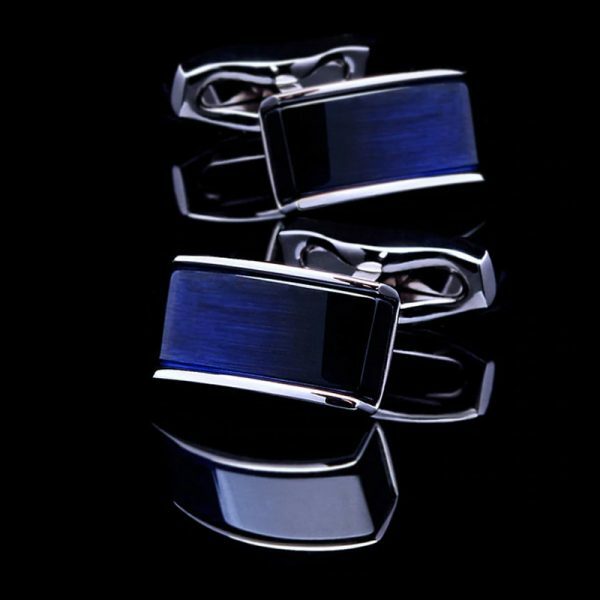 Each box can comfortably hold 20 pairs of cufflinks as well as your rings and tie bars. 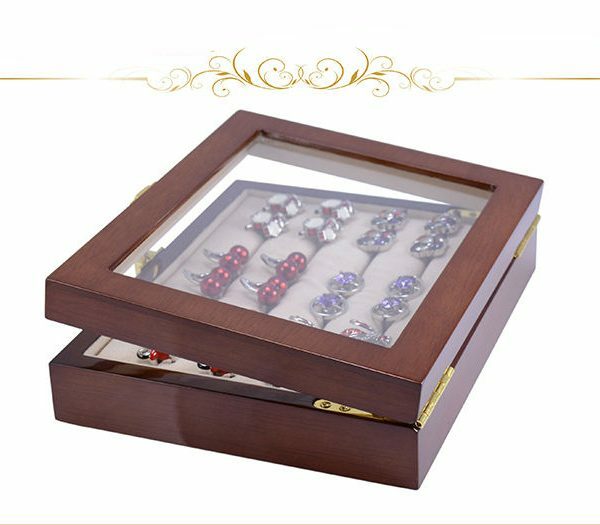 It is easy and affordable to keep all your cufflinks displayed and safe when you purchase this elegant cufflink storage box today. 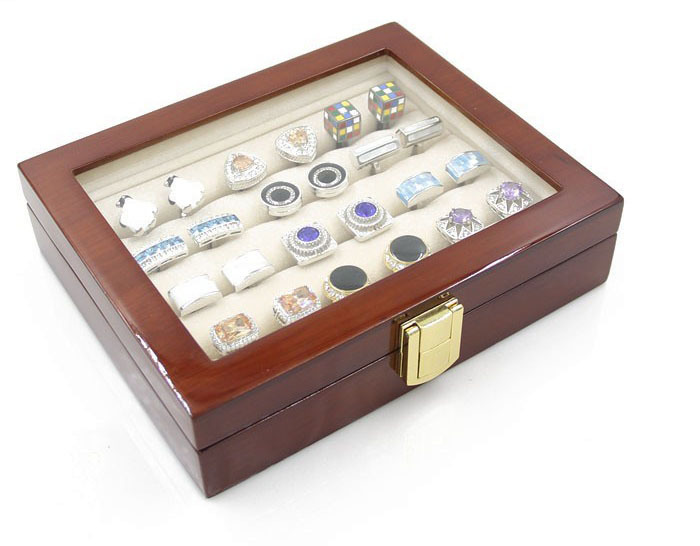 These boxes also make great gifts for the holidays, birthdays, Father’s Day and more. 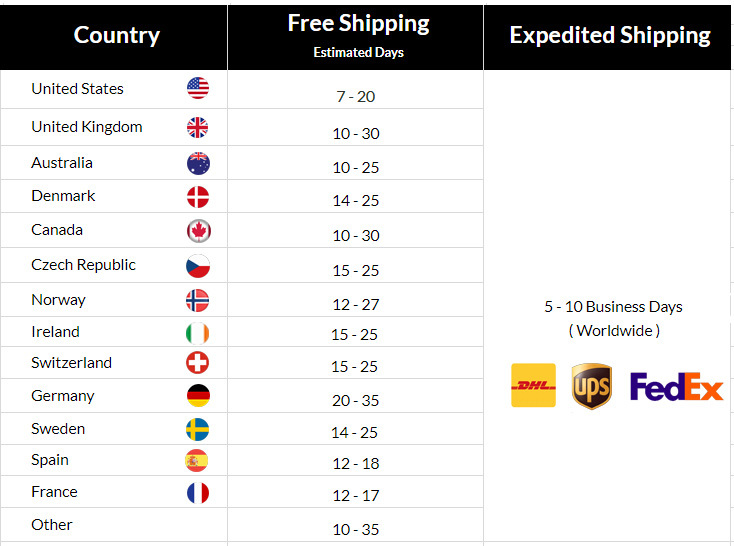 Long delivery time but quality better than expected.